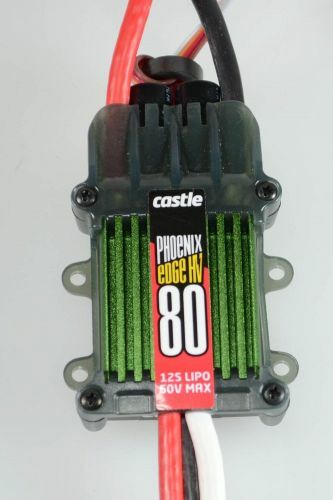 Phoenix Edge 80A HV ESC Helis: 600 Class Fixed wing: 1/4 scale Technical Specs Input voltage: MIN: 3S LiPo | MAX: 12S LiPo Max continuous amperage at full throttle: 80 amps* Size and Weight Width: 2.0" (50.8mm) Length: 2.8" (71.9mm) Height: 0.9" (23.2mm) Weight w/wires: 4.4 oz (124.6g) Weight w/o wires: 2.2 oz (62.2g) Miscellaneous Programmability: Fully programmable Castle feature set using Castle Link USB adapter (coupon for free Castle Link USB adapter included in package) and freely downloadable Castle Link Windows software. 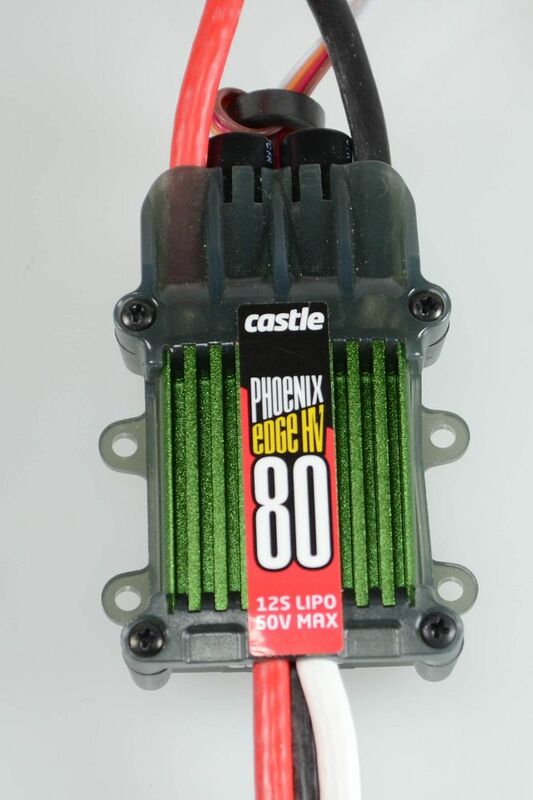 Castle Field Link Programming Card (sold separately) compatible for select functions. Connectors: Battery and motor connectors sold separately Tools needed for installation: Soldering iron and solder to attach bullets to motor wires and battery connector to power wires.